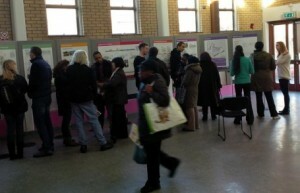 Following the 2013 masterplan options consultation a ‘preferred option’ has now been presented to the local community: the full demolition / redevelopment of the estates is the chosen scheme, which received the greatest level of local support according to the Council’s team.You can view the preferred option exhibition boards on the council’s website as well as a summary booklet which is being sent to every home on the estates. 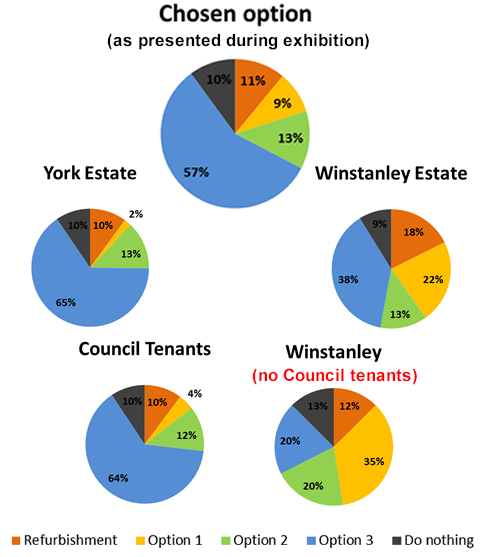 According to the Winstanley-York regeneration team, 70% voted for option 2 or 3 (with 57% preferred option 3 meaning full redevelopment of both estates). Although the team promised us a break-down of the figures back last autumn, there was nothing as such in the preferred-option exhibition. Never-mind, we worked out the figures working on the Appendix from Council paper 14-158 with the full consultation results. 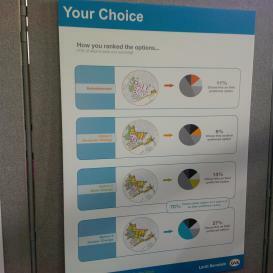 As we wrote in a previous article the 57% approval does not reflect the great divide between Council tenants who have been promised a relocation in the new redeveloped estate, and the freeholders /leaseholder /private tenants who will be likely to have to leave the whole area of Clapham Junction definitely. 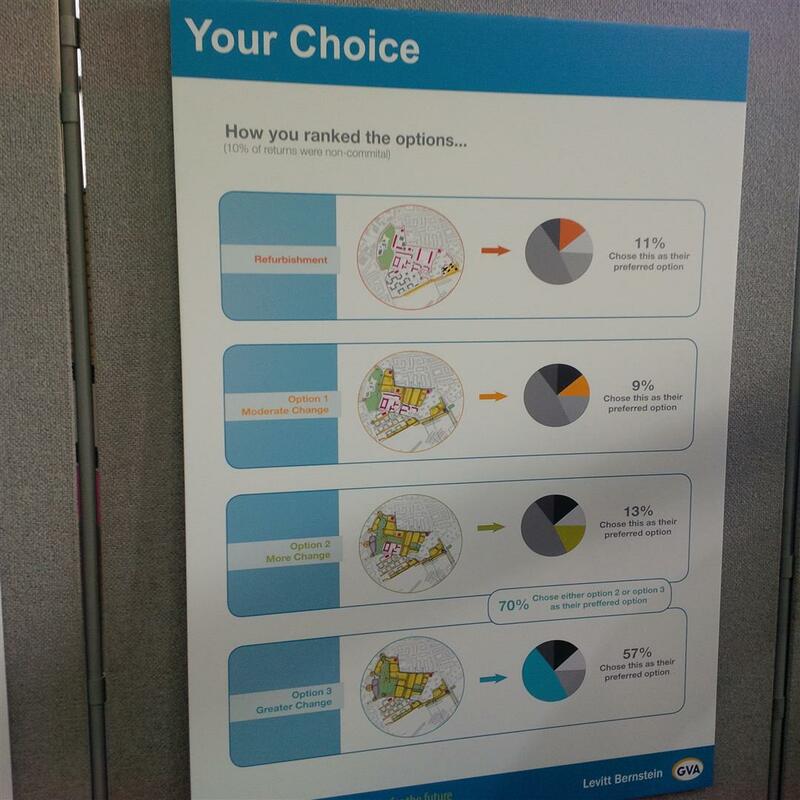 The support for option 3 depends highly on who has been surveyed: York Road resident or Winstanley resident? Council tenant or private owner? UPDATE: The council said in its press release that it has made a commitment that every council tenant and resident leaseholder who needs to move out of the old buildings would be offered a new home on the estate or close by. 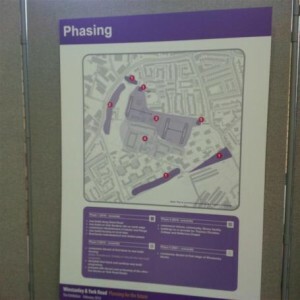 The “preferred-option”, labelled as Option 3A and presented by the team, involves a greater level of change including replacing some existing housing blocks with modern ‘courtyard developments’ built around a traditional street layout. Some other housing blocks would be refurbished (although we could not see which and how many). Option 3A also includes new development along the edge of York road which would provide a new library, health and leisure centre (only to replace the planned removal of the Battersea Sport Centre), a new community centre with homes above. According to the plan the overall size of York Garden will not decrease but will be surrounded by buildings. As the Council claim to put consultation at the heart of their masterplan, have we been consulted on the plan for the site closer to Falcon bridge which will be highly visible from both sides of the railway? What they call “Bramlands” is the new developments along Grant Road and the new “station piazza” near Falcon Bridge, which is currently designed with a series of buildings the same height or taller than the current Falcon Towers. 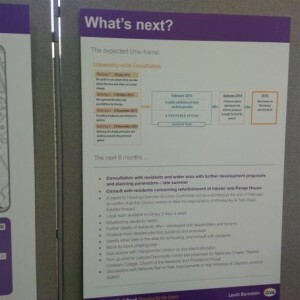 As the Clapham Junction Action Group raised the issue in November 15th, 2013, it looks like again that all inputs from the community is being totally ignored (we were told: “don’t worry, this is just a masterplan“). Read: Is Wandsworth planning a new Twin-Towers scheme in Clapham Junction? 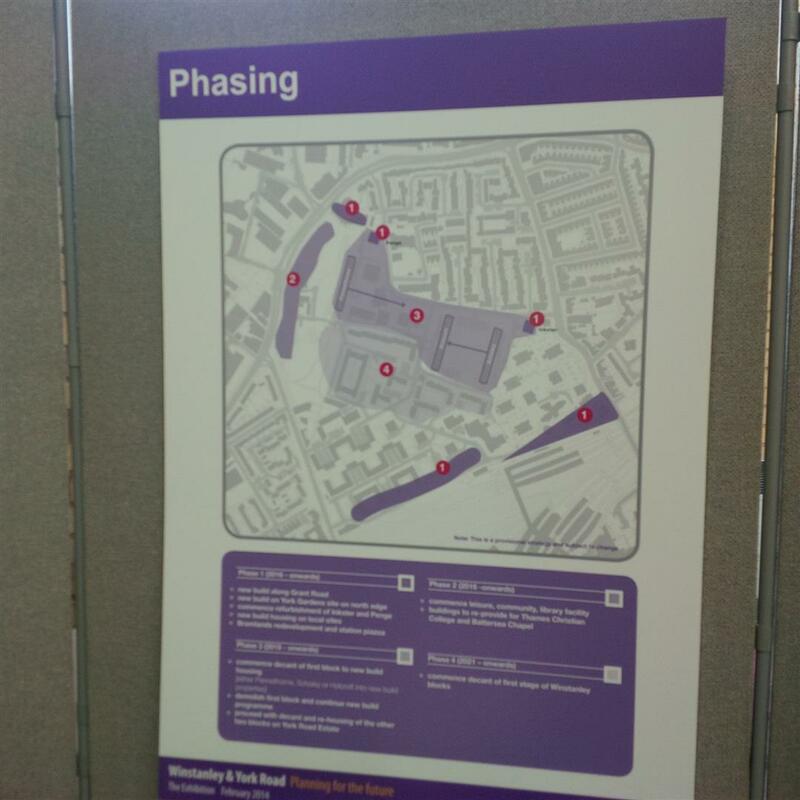 During 2014 the preferred option will be developed from an outline proposal into a more detailed masterplan. 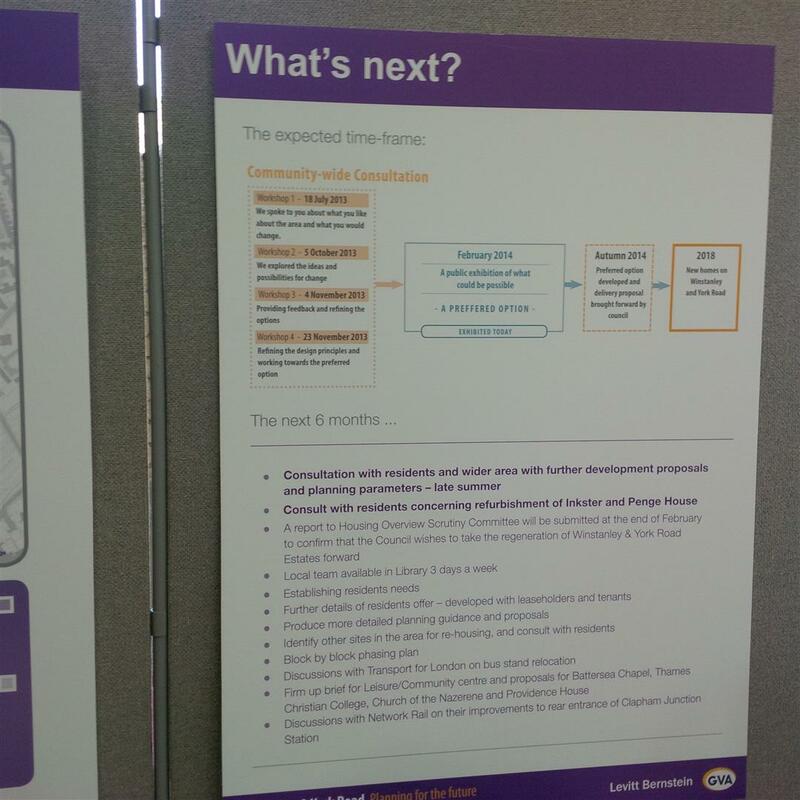 The next major public consultation will take place in late 2014 when a more detailed design and delivery plan will be presented to the local community. Eventually the new buildings could be delivered from 2018. The scheme should be delivered in phases, with the first one being… the one that they haven’t properly consulted on: Grant Road-Falcon Bridge!